Revolution is a word that is somewhat overused. But in terms of high tech cycling garments – this aero, water repellent, wind proof, breathable clothing set is a genuine candidate! 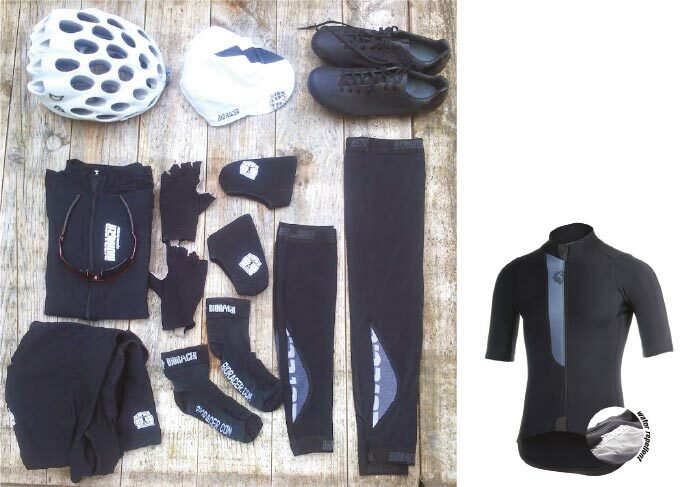 The Speedwear Concept Tempest clothing set is the solution for… weather! You want to ride or race quickly, efficiently, comfortably… with style – what you don’t want is to worry about the rain, wind or overheating. Designed for temperatures ranging between 5-18 degrees the jersey and the bibshorts are constructed from a water repellent fabric that is also wind proof. A soft, thermal, brushed lining keeps you warm but the breathable nature of the fabric means you don’t overheat. This is a genuine 3 season clothing set.